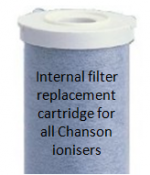 Internal filter replacement cartridge for all Chanson ionizers. Filters out chlorine, heavy metals and other common contaminants present in municipal water. Lasts up to 12 months. Replacement cartridges for C-3 pre-filter in areas that do not have fluoride in their drinking water. 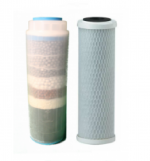 Replacement filter for the PF-207 pre-filter. 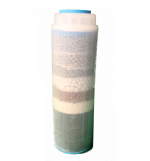 This filter is used for the AlkaFlow non-electric ionizer as well as the Vitev FLO and Vitev UNDR. 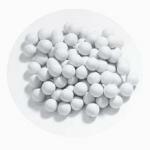 It provides a unique combination of media that offers both filtration and natural alkalizing capabilities. 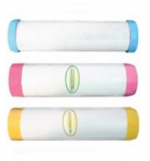 These filters are used for the AlkaFlow non-electric ionizer. They provide a unique combination of media that offer both filtration and natural alkalizing capabilities. 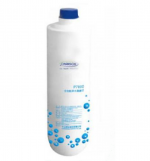 No need to throw away the whole SPA Shower Filter when the filtration media runs out. Simply replace the media inside. A more environmentally friendly solution! 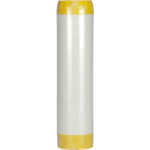 Replacement cartridges for C-3 pre-filter for areas that have fluoride in their drinking water. Catalytic carbon is effective in removing chloramines from municipal water sources. For use in place of a regular carbon block cartridge in the C-3 pre-filter.